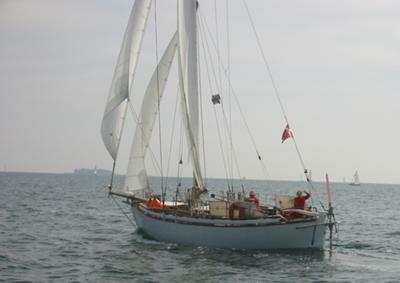 This is a unique Colin Archer type wooden yacht launched in 1978. 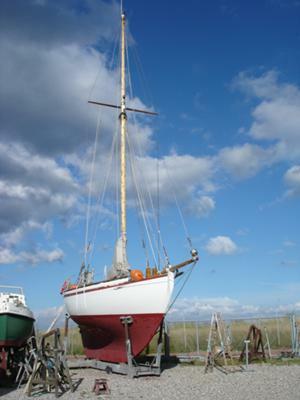 She is bermuda-rigged, 10 x 3,5 x 2 m.
A very good sailer, also in light winds, and built and equipped for blue water sailing. 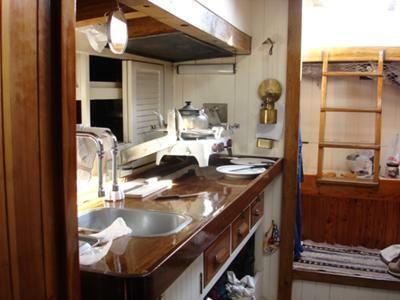 Meticulously maintained by the present owners over 22 years. She was build of larch planking on laminated oak frames. Deck, and superstructures are of iroko. 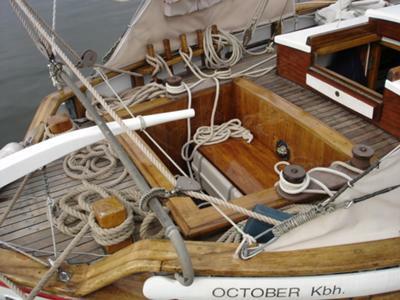 Mast and spars are made of thuja. Interior in larch, oak and iroko. Total-weight 10 tons with 3 tons in the iron keel. Motor: 48 hp Volvo MD22L from 1996.